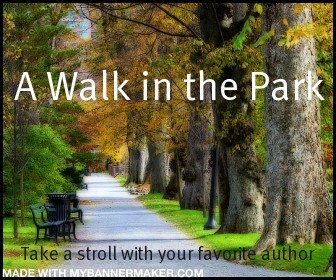 Welcome to another Walk in the Park with your favorite author! I have to say I’m super excited about today’s guest. Veronica Rossi is the debut author of Under the Never Sky (Review here). I absolutely and completely loved that book and Veronica is quickly turning out to be one of my favorite people! Everyone, please welcome Veronica Rossi! Welcome Veronica! Thank you so much for taking the time to take a little “walk” with me. Under the Never Sky is a fabulous story. (I’m seriously in love with the story. I couldn’t put it down. But you’ll see that in my review lol) The world building is truly fascinating. What was the inspiration behind the world you created? Thank you, Valia! The world came out of a desire to compare past and future, technological advancement with something primitive. I read a lot and spent time brainstorming for a few weeks and it began to come together. Aria is a strong character who overcomes a lot challenges before her. (I really liked how she struggles to overcome the prejudice of the world she grew up in.) What was the hardest part in writing her? Well, to be honest, the hardest part was staying true to her prejudices! In the beginning of the story, she had to be terrified, and a little cruel. Her exile into the outer world wouldn’t ring true otherwise. Perry is a very complex individual. (and fascinating, and *le sigh* I love me some tortured heroes.) His struggles are very compelling within the story. What was the best part in writing him? I love writing Perry because he’s quiet on the surface but there’s a lot going on underneath. He’s very loyal and incredibly kind, once you get through his walls. He’s just a blast to write. I know you’ve mentioned this before but who was your favorite character to write and why? This question is practically unanswerable! Of course, the two leads. I also adore writing Roar and Marron. Soren was quite fun, as is Hess. See? I’m just naming them all…. : ) Thank you! Well, I’m working on it now, and I’ll say that the stakes really climb. The Aether ramps up, and people start to panic and make some surprising–and sometimes poor–decisions. The Still Blue goes from being a rumor, to the only chance for survival. What is one thing you wish you knew before beginning writing? How much patience it takes! And that revision is the best part of the process. I could revise endlessly and be happy. That’s great to hear! And I do think my art background brought something to my writing. I’m extremely visual. I need to be able to see the things I write. Coffee in the morning. Tea in the afternoon. Not much for dessert, but I’ll say anything chocolate! Anything Judy Blume, and then later, anything Tolkein or Arthurian. Thank you so much for joining me on my “Walk in the Park”!!! Thanks so much for having me, Valia! So, what are you guys waiting for? Have you checked out Under the Never Sky? What do you think?